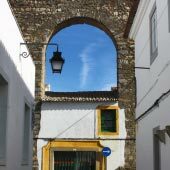 This is a suggested 7 day tour of the central Alentejo region that includes three of the best towns of the region: Evora, Estremoz and Elvas. 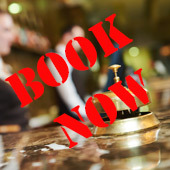 This tour is designed for visitors who purely want to spend the whole 7 days in the Alentejo region and do not wish to spend much time in Lisbon. If you want to fully explore Lisbon, an additional 3 days are suggested (and 5 days if you wish to include Sintra and Cascais in the tour). 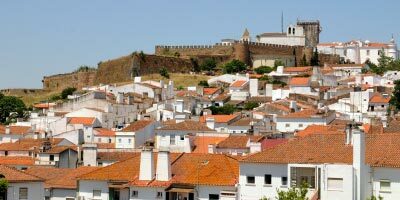 This 7 day tour of the Alentejo is designed for visitors who hire a rental car, but the route is possible using public transport. The Alentejo region is a beautiful and traditional region of Portugal full of contrasts: from the green of its extensive plains and pastures, to the golden of its waving cereal crops and the blue of the raging waters of its beautiful beaches...not to forget the red of its excellent wines. 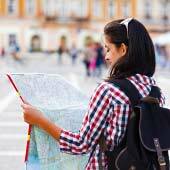 This region is perfectly suited for visitors who enjoy hiking, history and spending time outdoors. 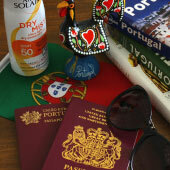 Lisbon airport is the international airport of the Portugal and all visitors will arrive via Lisbon. The first day allows visitors to very briefly visit the major districts of the capital (Baixa, Alfama or Belém) but 3 days is the suggested length for a typical visit to Lisbon. 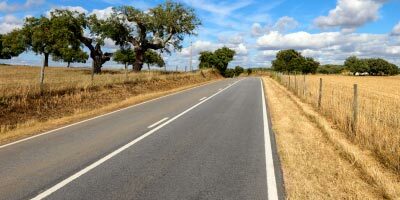 The journey to Elvas is the longest one of the tour travel, starting at the very west of the country all the way to the city of Elvas, on the Spanish border. This 200km journey along express toll roads takes two hours; for a guide to public bus service, service please click here. Elvas is a remote fortified town that defended the Portuguese border against the stronger neighbour of Spain. The extensive defences that were constructed include three massive forts and an impregnable city wall. Elvas has an outpost atmosphere, with few visitors making the long(ish) trip to the battle hardened city, but this city is nevertheless a gem of a destination. The relatively small size of the town means that most of the sights of the city can be seen within one and a half days. The main sights of Elvas are the Forte de Santa Luzia, which is a star shaped fort to the south of the city, and the 15th century castle with its amazing views over the region. 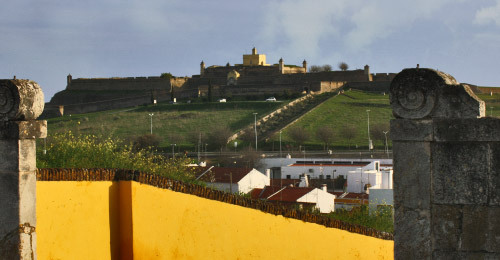 The main activity of Elvas is to simply wander and experience the heritage of the city. 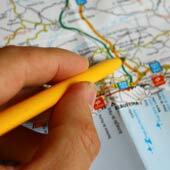 For a full guide to Elvas, Elvas please click here. 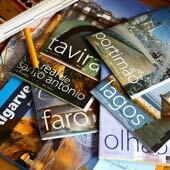 This relaxed approach is true of all of the destinations visited during the 7 day tour of the Alentejo region. Estremoz is the largest of the three towns and should be used as a base for exploration, especially if you’re relying on public transport. Estremoz is a quiet, traditional Portuguese city that offers a surprising amount of interesting tourist sightings in which marble, as happens in Borba and Vila Viçosa, is everywhere: the Igreja de Santa Maria, the Paço da Audiencia with its chapel or the Convent dos Congregados are some beautiful examples of local architecture. The village of Borba lies conveniently between the others and was founded in the second half of the 17th century. Borba is famous not only for its beautiful snow white marble but also for its deliciously fruity, locally produced wines. 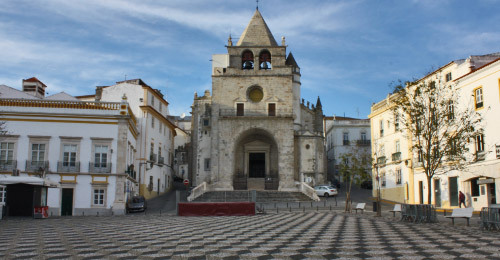 The main attractions of Borba are its great fountain and tank and the Igreja de Sao Bartolomeu, located in Praça da Republica, which was constructed shortly after the town was founded. Inside the fascinating church the distinctive white marble can be found everywhere. Vila Viçosa is the smallest of the three and also the most beautiful. Despite its reduced size, this village has had great historical importance, mainly due to its Castle, which was a royal residence from its construction in 1270 until 1501. This is the reason for the extensive and beautifully green meadow that surrounds the village, once a hunting ground for dukes and kings. Vila Viçosa has an impressive amount of convents, hermitages, statues and museums that would take over 1 day to fully explore. 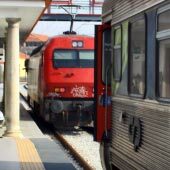 Evora lies 40 km to the west of Estremoz and is connected by multiple regional buses throughout the day. Evora is a delightful and historic city that was established by the Romans, fortified by the Moors and prospered during the 16th century. The city is a blend of narrow cobbled streets, traditional painted houses and grand 16th century architecture. The Roman temple of Diana, the best roman structure on the Iberian Peninsular. The mighty Sé Cathedral with its wonderful views over the Alentejo region. 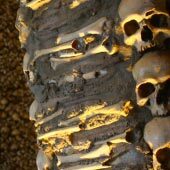 The ghoulish chapel of bones. The prehistoric standing stones of Cromlech Almendres.